“What do angels have to do with something as mundane as work?” I hear you asking. Nothing that is sanctified by love can remain mundane. If you do your work with love, the Angels of Heaven will flock around you, eagerly awaiting you to call on their assistance! 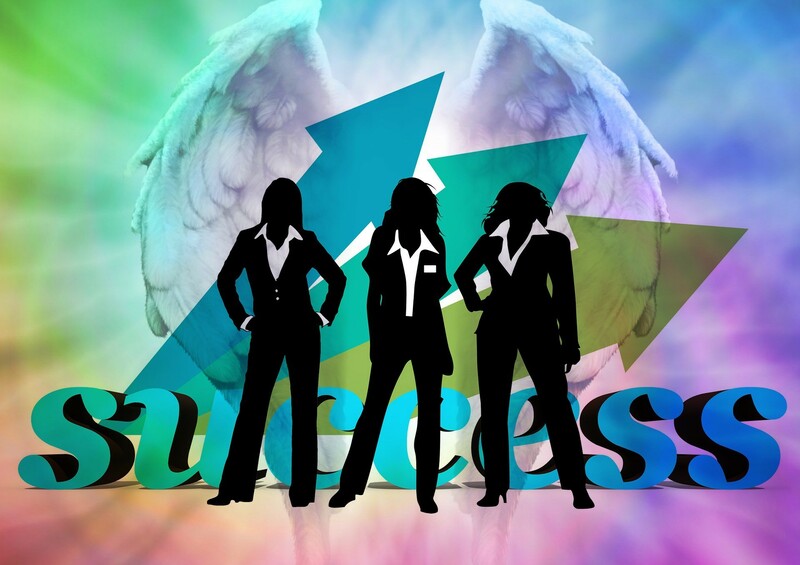 Find out how Sachiel, Cassiel and Michael can help you be a success! In order to succeed in your chosen profession, you need to have the mindset of an optimist. The angel that can help you gain this mindset is Archangel Sachiel, ruler of the planet Jupiter (luck, expansion, abundance, opportunity). Archangel Sachiel is also known as Zadkiel or Zachariel. He is the ruler of Thursday and the planet Jupiter. Jupiter rules the Zodiac sign of Sagittarius so Saggies and Thursday’s children both fall under his auspice. The Tarot correspondence is The Wheel of Fortune. Connected with the 4th sphere, Chesed (meaning kindness in Hebrew), on the Kabbalistic Tree of Life, Sachiel is known as an Ambassador of Benevolence on Earth. Sachiel helps us remember our true spiritual nature as well as the spiritual nature of those who have entered into our lives so that we can develop nurturing, kind and forgiving relationships. There can be no new opportunities if we carry baggage of resentment! His colour is indigo blue – an excellent colour for helping us with memory and mental focus. Sachiel is also the student’s best friend. Call on him before an exam to help with memory recall or when you have to do a presentation at work. Invoke Sachiel on a Thursday, lighting a deep blue, purple or indigo coloured candle. Draw a symbol of your Life Purpose/Career dream on the candle and ask for his blessing. Focus your intent and spend some time day dreaming about how life will be when you are living the dream. Then write down three short-term goals that will help you get there. If you have three signs within the next 7 days, your wish will be granted. Look out for money spiders, lavender, hyssop, bees, eagles, acorns and elephants – all signs of the presence of Sachiel in your life. Archangel Cassiel is the one to call on for those who don’t mind hard work and long hours… as well as for the ones who do mind and realise that discipline is not their forte but are willing to give it a go with a little help from the angels. Unlike Archangel Sachiel, Cassiel doesn’t dish out good fortune but he is kind to those who are willing to be disciplined with their time and resources. As an added bonus he also helps those under his auspice to age gracefully. His children are anyone born on a Saturday or in the sign of Capricorn. During the planning stages of any new project Cassiel can help you be realistic and set achievable goals. Cassiel can help you make a schedule and stick to it. Cassiel can help you embrace any arduous task and just get on with it. Archangel Cassiel can help you stay strong during challenging times. He can help you be honest about your own limitations as well as help you transcend them. Wear black, grey or brown. Use black tourmaline, snowflake obsidian and brown jasper. Light a black candle to remove an obstacles and self-imposed limitations. Anoint yourself with Patchouli or Frankincense essential oil to help you stay grounded and feel energised. Meditate with the Tarot World card. If you still feel resistance about mixing your spirituality and love for the angels with financial abundance and career success, it is time to ask yourself why you feel unworthy of being truly prosperous. You may have fallen victim to your own poverty mindset. There is time to let that mindset go… and that time is now. The angel to invoke for severing cords to past vows (for instance a vow of poverty in a past life as a monk or nun) is Archangel Michael. Simply ask him to release you from any vows of this nature in any direction in time. Archangel Michael is also the patron of anyone in a leadership position. If you know that you are called to lead/teach people in any capacity but are lacking confidence, light a gold candle to Archangel Michael on a Sunday and invoke his protection and blessing. Meditating with The Sun Tarot card may also be helpful for boosting your confidence. Archangel Michael rules the Sun. Wishing you much success in your career!